← It’s Tuesday and it’s Blurry and that’s a beautiful thing. 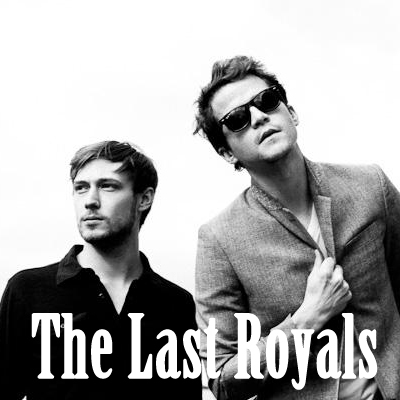 Brooklyn Duo, The Last Royals released their full length debut in January. Twistification is an American indie infused electronic pop record full of reflective lyrics tangled up in inside of upbeat music. The album opens with the weepy “Winter Waltz” however the mood quickly changes into “Friday Night”, which will at the very least make you bop your head. “Wake Up” is a song about facing inevitable change and is one of the strongest anthems on the album. Twistification comes full circle on “Always to belong” which is pound for pound the best track on the album and is full of earnest lyrics set to dreamy guitars and a simple beat. Twistification is an album about the brutal honesty of change. The Royals capture those intimate moments that we can all relate to and hold so dearly in our hearts. Nostalgia is one of the many reasons we love music because it allows us to feel young again. The visceral “I Hate California” stops Twistification in its tracks before settling into the “Barefoot Winter Waltz”. This album is a stellar find for the summer that lies ahead. It will punch you in the gut, and twist you up into knots, yet leave you feeling infinite like a great album should. Eric James and Mason Ingram are The Last Royals, and they have arrived and hopefully will be on the radar for years to come! Stream Twistification and buy it on their Band Camp page. This entry was posted in Artist Spotlight and tagged last royals. Bookmark the permalink.